Ready for a party? Three Cats Cafe is here to make it fabulous. It’s easy to be the hostess with the mostest when someone else does the work. That’s exactly what you will find at Three Cats Cafe; the perfect place for your next event, whether it is an intimate luncheon or a major extravaganza. From the moment you see the guest of honor’s name up in lights on the marquee to their final bite of hand made desserts they will be delighted. 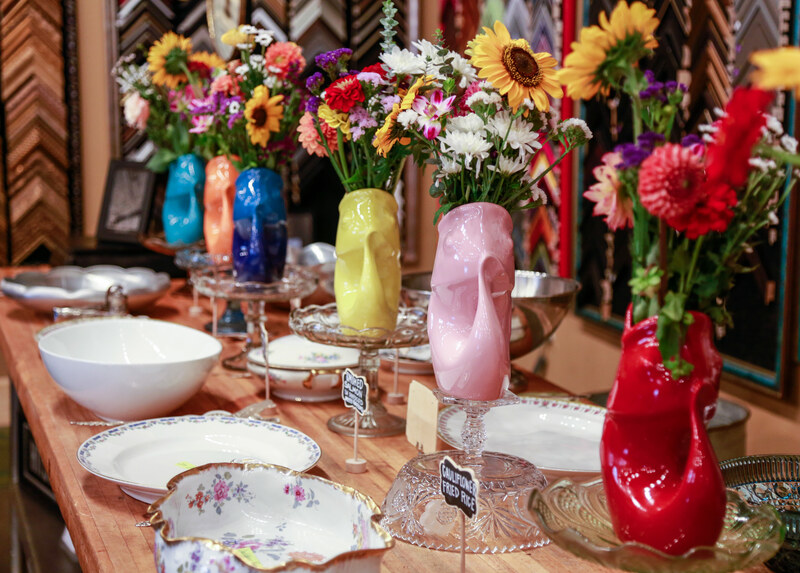 Tables set with mixed matched vintage china and silver and fabulous food, all served in the historic Clawson Theater. Your menu will be customized for you, your guests and your budget. Want to have a mimosa bar at your event? No problem we have a full bar. Looking for entertainment, too? Fire spinner or a clown, a DJ or an accordion player, we can help find you the perfect performer. Our cafe is easily accessible from anywhere in the Detroit Metro area and parking is easy and free. Whether you are planning a luncheon for 8, a shower for 50 or a reception for 120, your guests will never forget your party at Three Cats. 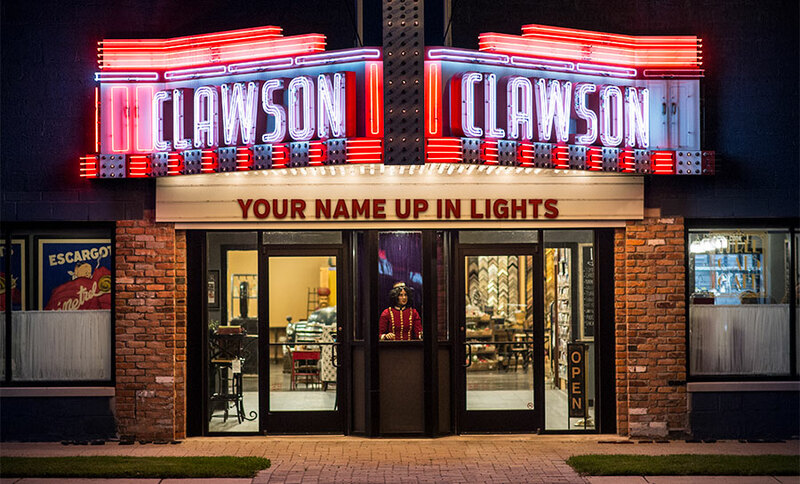 Would you like your name up in lights? Now you can rent the marquee out front. Whether you’re having an event at The Show or Leon & Lulu, or if you just want to feel like a star, contact Julie at events@leonandlulu.com to set it up.